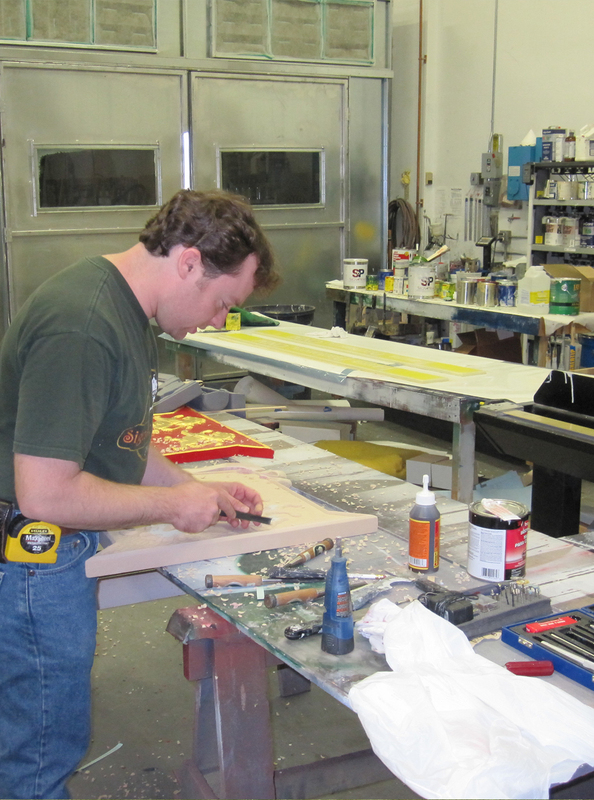 We are a sign company making quality signs for over 29 years! 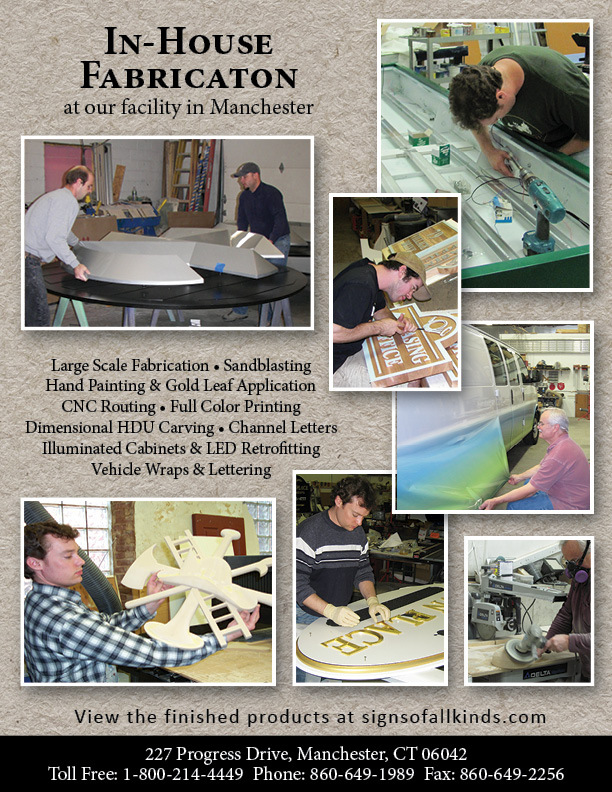 We handle complete sign fabrication in-house at our facility in Manchester, CT. We utilize a CNC router and sandblasting tools and techniques to engrave and add dimension to our signs. Our exterior sign services include channel lettering, illuminated cabinets and LED retrofitting. While parts of the process are done mechanically, our talented team still finishes with hand painting and 23 k gold leaf application. We offer full color printing and vinyl lettering for interior and exterior sign applications as well as for vehicle graphics and wraps. We will build your sign to meet the requrements and regulations of your town, building association, or location specifications. Those considerations also inform the services we can provide for your sign installation. If you have any fabrication questions or concerns for your sign, give us a call to discuss.